Yesterday, Grant Morrison helped launched the biggest debate about a 25 year old comic book ever. Morrison suggested that the Batman actually killed The Joker at the end of Alan Moore’s The Killing Joke, but no one noticed. 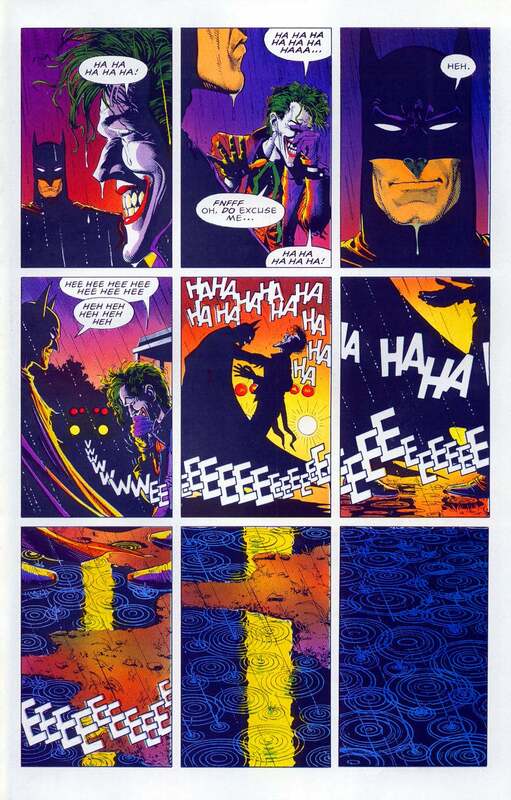 The theory quickly gained steam online, as the panels on the last page of The Killing Joke do seem to leave open the possibility that Batman killed The Joker. However, Richard Starkings, who lettered the issue in question, came forward to say that at least what the artist Brian Bolland indicated to him was that Batman was just leaning on The Joker. Of course, this revelation still didn’t satisfy a lot of people, because the speculation then turned to what writer Alan Moore intended. 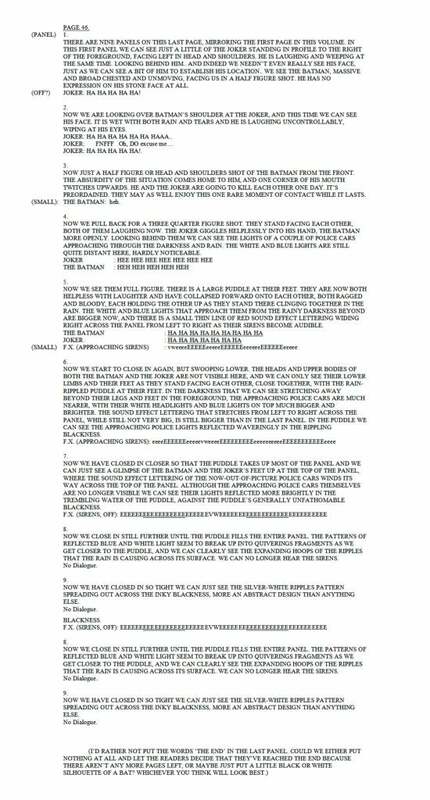 Now, the final script page to Batman: The Killing Joke has surfaced on Tumblr, which should put an end to the debate once and for all. 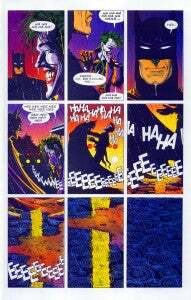 In the final panels, Alan Moore does not indicate or even suggest that Batman kills The Joker. The panels are just closing in on the inky blackness of the puddles as a way of ending the story. Alan Moore specifically states that Batman and The Joker are going to kill each other one day, as in not today. Today they are just enjoying one rare moment of contact. So there you have it, The Joker lives, case closed?